Back in the early ’90s, while I was still in therapy, I had a powerful dream. It was as if I was awake lying on my back on my waterbed. I dreamed that a man in exotic, perhaps medieval, clothing with an elaborate coat or vest of dark red and black was standing over me just to the right of the bed. In his right hand he held a whip. His look was severe, as if he was mad at me. I stayed still, and he took the whip and lashed me across the middle, and the whip cracked like a thunderbolt. It stung considerably, but the sound was the most incredible, and I believe it even left smoke. I can still smell it. I then woke and was shocked and afraid of what had just happened, or at least what I had just dreamed. It was another of those realistic dreams where it seems that you are not dreaming. The next day I noticed that I had a rather large bruise on my right biceps that I couldn’t explain. I talked to my psychiatrist about the dream, but he was dismissive and uninterested. I told him about the bruise, and he suggested I try to remember anything in the last few days that might have caused it. He didn’t believe any of it and thought that it was just a dream. I was more interested in the dream as a psychic phenomenon and looking for help explaining the appearance of such a psychic being. But my psychiatrist was more interested in trivializing it and explaining it away. It wasn’t until I encountered Jungian psychology that I started to understand the importance of the dream although I have not come up with an explanation for the man and who he might be. The sound of his whip cracking as it lashed me was so loud that it jolted me awake. This was before I got laid off from my engineering job , but I had been devoting all my a spare time writing for years. I was only marginally interested in engineering. When I got laid off on the 1st of January 1993, I never went back into engineering although I did do some contract work for a few months for an engineering firm back East. I have been writing books ever since. It seems that my taskmasters in psychic space were disappointed in me and trying to make me conform to their desires, but I had a new taskmaster, or perhaps I was no longer a slave and was demanding my freedom, which I received when I got laid off. This answer about the meaning of the dream seems right and intellectually satisfying. Psychic space is really weird. I do believe my psychiatrist did help me a lot. Carl Jung used to say that patients should see Freud before they came to him. My psychiatrist was Freudian, or at least practiced regression therapy, and my time with him was well spent. After my therapy ended, I found Jung’s writing, and his writing answered all my questions that my psychiatrist couldn’t, or wouldn’t. It has always seemed rather strange to me that I had done what Jung suggested even without knowing I was on that recommended path. A few nights ago, I had a dream that I was on the road traveling in a car alone and picked up a young man who was hitchhiking. I was a little concerned about how safe I would be with him in the car, but he seemed smart enough and rather sophisticated, strangely, since he was, after all, hitchhiking. In the real world, I’m struggling with what everyday becomes more and more a possibility: moving to Atlanta. It would only be for a couple of years while my daughter gets a graduate degree in accounting and her CPA. I’ve been dreading the drive out there, west coast to east coast, dreading traveling alone, and wondering at what difficulties I might encounter on the way. And now this dream of a hitchhiker. The hitchhiker’s name was Moses Hadas. I remember thinking that that was a rather unusual name. Names don’t generally come to me in dreams, and when I woke I googled it. Turns out Moses Hadas (1900 – 1966) was one of the leading classical scholars of the 20th century and a translator of many ancient Greek texts. The last twenty-two years I have been reading a lot of ancient Greek writing, from Aeschylus to Aristophanes, and I wondered if I’d picked up any of Moses Hadas’s translations. I searched on Amazon, and there was a paperback I recognized immediately. It was a small, mass-market paperback of the complete plays of Sophocles. The plays in this particular volume were translated by Sir Richard Claverhouse Jebb (1841 – 1905), and his King James english was edited by Moses Hadas to bring it up to more modern tastes. I hadn’t picked up this volume in years, and was never really aware of Moses Hadas as editor. But here’s the thing. In 1993, I went to Greece and traveled around alone for two and one-half months. The only book I took with me was this little paperback of Sophocles’s plays. Same cover even. I remember reading portions of Oedipus at Colonus while at a hill in the middle of current-day Colonus. This particular event in Oedipus’s life was his death there at Colonus. He’d spent many years wandering about the Greek countryside with his daughter Antigone to care for him after he’d blinded himself and gone into exile following his downfall as the King of Thebes. So here I was on the road again in my dream and accompanied by the classicists Moses Hadas, or at least his namesake. Wikipedia tells me that Moses Hadas was raised in Atlanta. Just another lost soul trying to find his way back home. I stopped by the IrisOfTime website to update plugins and themes and read this post in passing. But it seems that things haven’t turned out exactly according to my plans when I did come to Atlanta to live with my daughter while she got her master’s in accounting. She did get her degree, landed an excellent job with a major accounting firm and is currently working on her CPA, but I have decided, rather reluctantly, to live here with her in Atlanta and not return to California. The biggest factor in this change of plans was a stroke (mini-stroke or TIA stroke), which made my return to California a high-risk operation, at best. The trip by car would itself be trying, but I also had no place to stay once I got there. I could have gone into the VA home in Yountville, but that didn’t seem like a good choice for me. Plus, my daughter wanted me to stay in Atlanta. And that will probably also mean that I will, a few years in the future, die here. So it seems, and this is the reason I decided to update this post, that I have ended up as did old Oedipus, in the care of my daughter in my later years, and I will pass away here in Atlanta far from California where I grew up, as did Oedipus at Colonus and not Thebes where he was born and reigned as king for so many years. Such a strange world we live in. Early this morning, I woke from an unusual dream. I dreamt that I was on an expedition to another planet. We landed there and discovered evidence of life, an ancient but apparently extinct civilization. Everywhere we went we found evidence that, at one time, ancient aliens had built and maintained a way of life there. A couple of us drifted off from the others, and when we rounded a hill, we looked off in the distance and saw a rather modern city, one that perhaps looked like America back in the 1950s. We saw cars stirring up dust as they zipped along dirt roads. When we got closer, we saw that they were teenagers out raising a ruckus in what appeared to be outdated American automobiles. When we came among them, we created quite a stir. They were excited to see us. They grabbed one of my companions and pulled him aboard what seemed like a flatbed truck. They seemed to be similar to us, yet they were different, alien, and we couldn’t understand their language, at least not at first. I couldn’t understand how an alien civilization could possibly be as much like ours. But then I thought that perhaps some other, more advanced, civilization had abducted some Earthlings and deposited them on this distant planet to start a new civilization. But it also seemed that they had heard of our music and seen movies. They somehow had a link to our communication stream. My dream ended then, and I woke, but I tried to bring it back, tried to reenter the dream. I wasn’t successful. I tried to remember more of the dream. It seemed that I couldn’t remember much of what happened when we first arrived at the planet, but I couldn’t focus on memories of the dream. Instead, my mind wanted to extend the dream by imagining more of the story, to flesh it out and learn more about who these alien people were. Active Imagination was taking over the story and adding to it. I couldn’t keep from it. As I became more widely awake, I tried to enter the hypnopompic state, of which I’ve been researching recently, and I looked for hypnopompic images. They were everywhere. I saw faces, buildings, scenes. I believe everything was stationary, although some of the images may have been like short video clips. I could stare at the images and they were stable. They didn’t quickly disappear as they usually have. I could examine details for practically as long as I wished. Sometimes I would lose an image, but then I could bring it back at will. All these images seemed to have a loose connection to my dream. Were they scenes and people from my dream? I believe so, but I’m not sure. I experimented with this for possibly as much as an hour before voluntarily giving it up. During all this, I was aware of the real world and my own physical state. The thing I remember most is that my breathing was heavy, as it becomes when we are going to sleep. I could come out of the hypnopompic state at will, my breathing once again normal, and then reenter, and when I did, my breathing would again become heavy. I realized that this hypnopompic state I had experienced differed from that I use for Active Imagination. This state didn’t seem to use the imagination at all. It was as if my mind opened a window and allowed images from some remote source to pour through. Jung says that hypnagogic images can be used to start an Active Imagination session, but I’m wondering if hypnagogic/hypnopompic images have anything at all to do with Active Imagination. I realize that this statement contradicts what I said about what happened when I started coming out of the dream and my mind wanting to extend the story using Active Imagination. And yet, the normal state of imagining a story or talking to psychic entities during the day doesn’t seem to come from the same place. The mind is complex. My research continues. This morning about 6:00, I decided to practice a little Active Imagination to use a new procedure. Actually, it’s not that new, but I’d not thought of using this particular technique when I am simply exploring psychic space. I frequently do explore psychic space just to see what is going on there. My purpose during these times is to try to experience some of the incredibly vivid images I’ve seen at certain times in the past. Actually, these aren’t just images. They are live scenes, sometimes with multiple psychic beings populating them. This “new” procedure is to use an image I’ve already seen in psychic space as a catalyst to get psychic space rolling, or at least my contact with it. I imagined an image, then another one, and then it happened. I could see contrasts in the dark landscape, and I focused on the contrasts, and then the image came into full view. Not all of it was vivid, but some portions of it were. It was a landscape. I saw no inhabitant, but it was a scene possibly of a farm with buildings off in the distance. The landscape was moving off to my left as if I were traveling along a country road in a car. My view remained fixed on the buildings as they moved off to the left, and I tried to move my field of view to the right in the direction in which we were traveling. I was somewhat successful in this effort, but it was difficult. Then the scene stopped moving, and I could no longer move my vision. It was as if my means of locomotion had stopped. It did seem that the landscape became unpopulated. All I could see to the right of the farm were barren fields with shrubs. I’m wondering if this termination of motion was because no one was out there. Could it be that I can only view areas where other psychic consciousnesses, beings, are present? At least that was my first thought and would make some sort of strange sense. Thinking back to my previous experiences, I can’t remember a setting where no one was present. I’ll have to investigate this further. Anyway, it does seem that priming my imagination with a known image forces my consciousness into the viewing-images mode. From this I hope to develop a method that will reliably produce vivid images and get me more deeply into psychic space quickly. Does seem encouraging. Only time will tell. I believe by “the universe of the Cherubic Intelligences” Corbin means the Divine World. So what Corbin is talking about is an existence between our world, which we consider reality, and the Divine World. This in-between or “intermediate world” is possibly what I’ve been seeing during the short periods I’ve experienced the stark, vivid images. Being an engineer/scientist by education and profession for thirty years (although both simultaneously and separately a poet/author for forty years), I’m inclined to imagine this intermediate world to be composed of Dark Matter, the nature of which has been under investigation for decades. I then suppose Dark Energy to represent the Divine World. I would see Dark Energy as possibly being Psychic Energy or Psychic Space. Scientists estimate that the universe is composed of 4.9% ordinary matter, 26.8% Dark Matter, and 68.3% Dark Energy. But this is my own interpretation, and I stress that it is an interpretation and not a belief. The book, of course, is about the teachings ofr the Muslin Sufi Ibn ‘Arabi. As are many westerners, particularly those raised Christian, I am suspicious of anything attached to Islam because of the violence that has been perpetuated on us by radical factions. Before the world became so polarized, or at least I became so aware of it, I was interested in the Sufis. However, I tend to seek out enlightenment regardless of its source, so I’m charging ahead with this book because of its association, at least in my mind, with Jung’s theories and my desire to learn more about the human experience. This then is possibly some of what I have been experiencing. In particular, I’m thinking of the little white light that accompanies me almost without exception into Active Imagination and has from the beginning. (See Story Alchemy, page 11) The last time I viewed it, it appeared at times to have wings, so much so that I wondered if it was some manifestation of an angel. Anyway, there I was in the middle of my research last night, and while reading Corbin, I started to wonder about all this new information relative to my own experience, and it just seemed to me that my experience was more important to me than anything I read in a book. Reading Corbin made me realize the importance of my own experience, that I was experiencing something significant, and that I should take the full spectrum of my experience into account and not try to use someone else’s experience as a guide for my own. Even Jung, although his writings have been immensely helpful, hasn’t always been right about me. I think I should concentrate on what is happening to me and continue experimenting with Active Imagination, if that is even what I should be calling it. I believe Corbin has verified my experience more than provided guidance. From this point forward, I should trust to my own experience, evaluate it, and develop a discipline based on it. So that’s where I currently stand. I’m going to continue with my research into Active Imagination and what my psyche is telling me. I’ll post any further developments right here. 03:00 am (?) I just woke from a dream of a dystopian world, a world where civilization and almost all the population were gone. Nothing bad was currently happening. Only a few people were left alive. I can’t remember if we were going anywhere in particular. We were just traveling. We were spending the night in a building close to a freeway. I don’t remember any trees, just roads and the building. The front of the building, toward the freeway, seemed like a large room, perhaps the eating area of a restaurant. I remember that the front wall was mostly glass overlooking the freeway. I also remember bedrooms in the back where the rest of our traveling companions were sleeping. We were getting ready to hit the road again. I wasn’t afraid, although I was concerned about strangers. There wasn’t any traffic to speak of on the freeway. Civilization was gone. What had happened to destroy civilization, I don’t know. It was early morning throughout the dream, the light before dawn. I don’t know who “we” were. I remember something about my older brother being there, or knowing he was there, but I don’t remember interacting with him. I believe my father was with us, or he came in during the night. I also remember asking if we’d had any visits from other travelers during the night, and he told me that we had three. One of them was apparently still there sleeping in one of the bedrooms. We could have been also traveling with a couple of my aunts and uncles. Close to the end of the dream, I remember my father saying people were still good to each other, or he didn’t say it but we knew it. He did say that everyone had predicted that people would be fighting and killing each other in such an unstructured world, but it wasn’t that way. I believe we did have guns, but I don’t remember having one myself. It was just the idea of guns that I remember. I actually don’t remember a time flow of events. It just seemed more like a situational dream. Perhaps it was a longer dream, and I only remembered the end of it. It was mostly a mood dream — the mood of a world without civilization and most of the population gone. 03:00 am (?) I see the woman in white on the balcony, see her take the key from the drawer and go back into the house. I follow her. We go through the living room and through the foyer to the Iris of Time where she hands off the key to the Guardian of the Gate. The Guardian turns the key and the Iris slides open. I nod to the Guardian and step through the Iris of Time and into the world of my vision. I am in another world of unknown location. Before me stands the Little Man of my vision, and I wish to speak to him. However, I cannot make contact in the way I did in my previous vision. It’s as if I’m now working off the memory of the vision and not an actual vision. I need to slow my mind so that I can concentrate on the vision, the image. I would like to know more about that world wherein the Little Man exists, but it resists definition. I no longer see the little white light that accompanied me for three years. I once saw into that light as if it were a tunnel. I always wondered after that if it was a psychic wormhole, something that would allow me to travel to other world. My field of view now is clear and completely black. That would seem to be a canvass upon which my mind could draw an image, a black surface to express itself, but nothing comes. Maybe a faint light at the lower right of my field of view, but now nothing. Seeing images does require concentration, and my concentration of late has been really poor, except of course for the one night where I had the vision of the Little Man. That was such a startling vision. He stood stationary, but he and the world were alive, not just a picture of a world, but the world itself alive and full of existence. Many years ago, I used to look into the blackness like this but without the Iris of Time, and I could see flashing lights of many colors, much like a laser light show. Perhaps my lack of vision now is because of my age . Surprisingly there is little information on this technique and the many experiences of its practitioners. Too bad more people don’t come forward and describe their experiences. This is like going out at night and watching for meteors, and it is just as unpredictable. The little light has just entered my field of view. There it is again. It’s not so well defined as it once was, not yet. This is really strange. Maybe my failure to see anything is just because I’m out of practice, or more probably, I have been away so long that the other world has lost interest in me. Now the light is gone again. It’s as if it came by to see what I was doing, but lost interest in me. I am coming to understand very necessary typing is as a part of my process. Typing focuses my mind, steadies it, and allows me to focus on the activity. It takes me out of the sleep world, and makes Active Imagination a specific mental and physical activity. It focuses my mind and my body. It also occupies both and releases the powers of the imagination. I’m not sure if this would work for just anyone. I’ve been typing since I was fifteen years old, and now I’m doing it blind. I’ve also been writing imaginatively for forty two years. There’s the little white light again. I’m concentrating on it. It’s moving around and now more fully formed. It keeps coming and going. It was so easy to see in times past but requires real effort now. It has taken on some shape, almost like exposing the silhouette of a mountain range as it did when I very first made contact with it, as I described in the opening chapter of Story Alchemy. I came to think that it was of little importance, since I saw it all the time. But now I realize that it is the beginning of all activity and crucial for entry into my process. Now it’s gone again. It used to be so easy to see. Active Imagination does require considerably effort and a lot of energy. I just put on my sleep mask to avoid the temptation to open my eyes. Any light disrupts the process. With my mask, it really doesn’t matter if my eyes are open or closed. The little light is still gone. It seems to come and go at its own volition. I just saw the face of a man. He smiled when I saw him as if was smiling because I saw him. He was gone almost instantly, and he wasn’t as vivid as the Little Man. I’m beginning to see variations in the blackness now. Perhaps this session will get off the ground after all. I seem to be slipping closer to the sleep state, and here comes the little light again. Yes, I’m going deeper. I can telling it in my breathing. Now more light variation. Nothing with a shape yet. I am beginning to get the sense of a world, a world at night with a clear blue sky. I’ve also noted that my breathing changes to the heavy sleep breathing, so that indicates that it is also a heavy philosophical process. I also think that it requires not looking too closely and what I’m seeing. It is something like using peripheral vision when looking at the heavens. Again the little light is gone, and all I’m confronted with is the deep darkness, no light, no star patterns. The darkness is a necessity, but also the typing of my random thoughts, which seems to occupy the intellectual part of my mind to release the mystical. It takes this kind of structure to occupy my mental faculties, focus my concentration and release the imaginative part of my being. It’s almost as if I have to occupy everything about me that is human to allow the invasion of the imagination. Occupying myself physically by typing, and producing thoughts occupies the intellect, and then the imagination can occupy my field of view. Then when something starts to happen visually, all these process come to bear on getting it down in the computer. Again the little light. Looks like the Hercules Cluster. I can feel the expansion of my view, as if I’m stepping into the field of view of the eyepiece of a telescope. It having been so long since I practiced Active Imagination, I can now see more clearly than ever all the steps I’ve used to get me to the state where I write fiction. I also believe I can now see more differentiation between that state and that of witnessing another world. 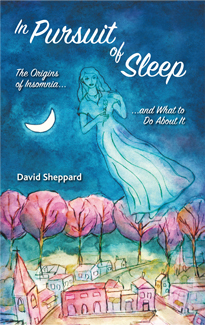 Sleep is such a close state to the process, yet it’s a sleep state that requires an active intellect. Again, I believe it’s important to have the physical body involved in an activity like typing, and the intellect occupied, entering the sleep state along with the change of bodily processes like breathing, while actively looking intently for images within the dark psyche. Again the little light makes an appearance. I found it a little irritating before because it was always there when I wanted to see something more profound. Now I believe it may be the most profound of all the things I’ve seen. It almost seems to have wings, almost an angel. Could it be that I have been guided all along? Now the light is gone. So lonely, as if I’m looking into a starless sky, a starless universe. I just put in some eyedrops in both eyes because they were getting dry and scratchy. All the time I’ve been doing Active Imagination, I’ve been hearing the whine of tractors in the vineyard across the meadow in back of our yard. Frequently they work at night. Perhaps that’s another part of the process, giving the ears something to do while the Imagination does its thing. The little light has been gone for a while now. Such a comforting little light. Perhaps it comes and goes as my concentration deepens and surfaces. With my sleep mask on, I can’t tell when my eyes are open or closed. I just had a black spot appear in the middle of the little light. At the same time the thought of evil came to me. The feeling of the presence of evil seemed to come just before the thought of evil. And now I see a black dot in my field of view. Where before it was a white light, now it is a black light, if there can be such a thing as a black light. It’s been a while since I’ve seen anything. Even my stream of consciousness thoughts have stalled. That’s enough Active Imagination for tonight. I turn around and head back toward the Iris of Time and pass through. I thank the Guardian of the Gate and hear the Iris close behind me as I take the key from her, exit the foyer, go back through the living room and out on the balcony. I deposit the key in the drawer, and now I’m back in bed in my home. This morning, sometime around 04:00, I was awake during one of my periods of insomnia when I thought I would try a little Active Imagination, just to see if I could conjure anything interesting. This was a spontaneous session without preparation. I went in through the Iris of Time as usual but did not type out the session, which was very short. At first, I saw a couple of pale images, but nothing really impressive. Then, all at once, a little man appeared before me. He was as real as anyone I’ve met in the real world. I stared at him and he stared at me for maybe fifteen seconds, and then he disappeared without a trace. He and the world he inhabited was just simply gone. He was a little man, perhaps three feet tall, but fully grown. He had a cloak tightly wrapped about him that hung to the ground, light earth tones in color. He had on a tight cylindrical hat, flat on top, and multi-colored, again earth tones but more of a redish cast and possibly intricately woven. His arms were at his sides. I’m less certain of his surroundings than of his person appearance. I believe he was on a walkway, perhaps a sidewalk with a stone embankment at his right. It seemed to be a metropolitan area, quite pleasant and without any weather implications. He was alive, but not active, and seemed to be there specifically for me, for my observation, or perhaps we were observing each other. He came into my field of view quite suddenly but not as quickly as he and the world he inhabited disappeared. Perhaps the most startling aspect of the entire experience was the stark reality of it. This was a real world experience, but of another world quite different from ours. Whether it is a part of the physical universe, psychic space, or the Divine World, I cannot say. It did, however, seem to be a physical world. Again, this was not a dream image, but a real world encounter with something and someone alien. It was a profound experience, yet so ordinary. I have had several experiences like this in these few years of practicing Active Imagination. I am intrigued by how different is the state of Active Imagination compared to the normal “thinking” experience of just letting the mind wander or even directing it at a specific subject. Trying to see images is a different mode of seeing and is even different than visualizing the fictional world when I write a story. It seems that we have a mechanism for contacting other “worlds” where for a limited time we have access to a totally alien landscape and its residence. These profound experiences do not last long, and it seems impossible to hang on to them for an extended period of time. I feel fully awake although it is only a visual experience with no auditory component. Perhaps if I listened intently I could locate the sounds that might accompany the images. I have tried speaking to the people I see, but they don’t seem able to hear me either. Carpathian Vampire took two years to write using Active Imagination, but Story Alchemy took at most two months since it was the result of methods developed during writing Carpathian Vampire, although I did write Story Alchemy using Active Imagination. I took the preliminary methods uncovered as starter material for Active Imagination sessions where I wrote Story Alchemy. Of course, before any of this, I practiced Active Imagination for a year to learn what I could of the process and documented that material here. During all three years, I documented what was happening; however, I didn’t document the Active Imagination session here concerning Carpathian Vampire. Those sessions of course are documented in the novel. The purpose of this post is to talk some about the impact all this has had on me. The most profound effect seems to be in my relationship to my dreams. First of all, I seem to be more assertive while dreaming. I exercise a stronger will when interacting with the psychic beings I encounter in them. Also the nature of the dreams seems to be somewhat different in that they cover different psychic material. Not sure how to characterize the difference except that the subject matter seems to be more adult. Perhaps I’m dealing more with material from the Collective Unconscious instead of the Shadow. The largest effect is in my relationship with the dream as I am coming awake. I find that I have much more control over the content of the dream and am able to shape what is happening as I become more aware that I’m dreaming and waking. I guide the events and shape the outcome until I realize that I’m no longer dreaming but fantasizing. The resulting fantasies can go on for as much as an hour post-dream. They become a story where I’m an active participant, the protagonist actually. Another affect is that during my daily routine I seems to have access to different modes of behavior that I haven’t had before. I recognize modes of behavior available to me that I’d not noticed in the past and understand how to put them into action. I’m both more assertive and functional. I seem to have tapped into a social resource not available to me in the past. I would characterize the impact as a demonstration of what Jung called the Transcendent Function. I’m more integrated with my hidden resources buried in both the Shadow and the Collective Unconscious. These new behavior modes seem to be both more usable and less trouble causing than what I experienced during the five years of Freudian therapy I underwent from 1987-92. That process at times seemed to put me at direct odds with circumstances and individuals in the real world. The conflict felt forced, unnatural. But then I was much younger and going through midlife. I was also writing a novel (The Escape of Bobby Ray Hammer) on nights and weekends. Still, I wonder how that therapy would have progresses if it had been Jungian rather than Freudian. I felt beat up during and after that therapy. I don’t know but what it caused as much trauma as it resolved. I’ve been reluctantly editing Story Alchemy again today. After letting it rest for a week or so, I started reading it yesterday, and I found some significant problems, some repeated material, but also a couple of pages of material that didn’t belong in the book. So disappointing. I deleted it. Afterward, I was talking to my son — seems talking him always leads to inspiration — I realized that a bridge I’d mentioned inside the plot dodecahedron was in fact a representation of Jung’s Transcendent Function. This bridge extends from the Iris of Time to the confluence of bindus inside the dodecahedron, or Imaginarium as I’ve termed it. (Chapter 9 The Land of Story) All the material in Story Alchemy fits much closer together than even I can imagine. I generated the material using Active Imagination, and at times I don’t recognize my own writing. At others, a casual reference to something that seems inconsequential to me turns out to be a major discovery. I never cease to be amazed at how inspired Jung’s theory of the Unconscious and its relationship to consciousness and thus to creative endeavors really is.